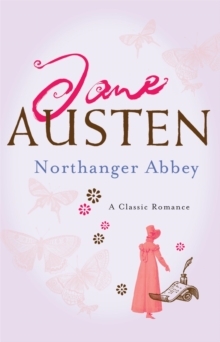 With its loveable, impressionable heroine and its themes of growing up and learning to live in the real world, "Northanger Abbey" remains one of Jane Austen's most irresistible and up-to-date novels. Catherine Morland is the very ideal of a nice girl from a happy family, but she is blessed with an overactive imagination. She is also obsessed with Iurid Gothic novels, where terrible things happen to the heroine, which gets her into all sorts of trouble...When Catherine meets funny, sharp Henry Tilney, she's instantly taken with him. But when she is invited to his home, the sinister Northanger Abbey, her preoccupation with fantasy starts to get in the way of reality. Will she learn to separate out the two in time?